The San Diego City Council’s four-person Environment Committee voted unanimously Thursday to send a proposal to the full council establishing a community choice energy provider that would compete with private-sector energy companies such as SDG&E. San Diego Mayor Kevin Faulconer announced the proposal in October to a chorus of approval from local environmental activists and reiterated his commitment to the idea during his State of the City address Jan. 15. The proposal would create a joint-powers public-sector energy provider to increase market competition and, it is hoped, reduce energy costs. 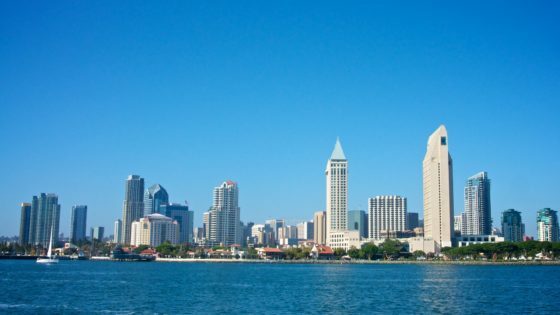 According to Faulconer’s office, the plan would reduce local energy costs by at least 5 percent and help the city attain its goal of 100 percent renewable energy usage by 2035. If the City Council adopts the plan, it would create a joint-powers authority to facilitate the project, which would include the county of San Diego and other cities around the region should they choose to join. “Hopefully we’ll get to a point where a lot of the politics is out of this and we’re just trying to provide energy that’s at a lower rate, that’s really where I’m trying to get to,” said Councilman Scott Sherman. On the city’s current timeline, the energy-providing authority would begin service in 2021. However, the city would need to submit its proposal to the California Public Utilities Commission by December to remain on that track. “Community choice energy will inject healthy competition into the marketplace, allowing customers to benefit from lower energy costs and pick greener energy sources to power their home or business,” Faulconer said during his State of the City address. San Diego Moves Closer to Offering Energy Alternative to SDG&E, by Ken Stone, Times of San Diego, January 24, 2019.